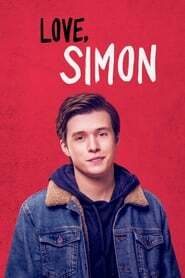 Synopsis: A young coming-of-age tale about a teenage boy, Simon Spier, goes through a different kind of Romeo and Juliet story. Simon has a love connection with a boy, Blue, by email, but the only problem is that Simon has no idea who he’s talking to. Simon must discover who that boy is–who Blue is. Along the way, he tries to find himself as well. Synopsis: Dueling high school debate champs who are at odds on just about everything forge ahead with ambitious plans to get into the colleges of their dreams.